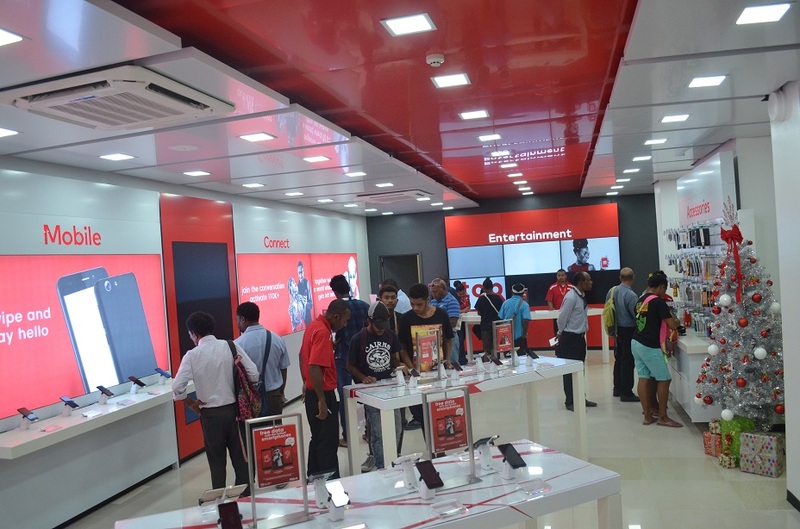 Digicel has opened its new look store in Down town Port Moresby with a great new set-up aimed at providing to customers the ultimate experience as they deserve to be in control of their experience with reliable technology, the best range of devices and a superior network. The new store located inside the Down Town Plaza have available a range of mobile phones and mobile phone accessories, Digicel TV Play boxes, top up and much more. Digicel PNG Senior Vice President & Chief Sales Officer, Lorna McPherson said., “This store is about customer experience we have phones on display at our stores where customers can see,touch and get a feel of what they want and what suits their budget’. Digicel’s hot new Christmas smartphone offers are also available in the newly opened shop. The smartphone offers include, the DTOK 4G LTE and Wowi 4G LTE smartphone each selling at only K199 and come with unlimited data to use for 3 days. Customers also have the option of buying the Wowi 3G Smartphone for only K155 and get instant free 1 gigabytes of data to use over 3 days. Plus, with every purchase of any of these 3 smartphones, customers get a chance to win a daily cash prize of K1,000 and go into the draw to win the grand prize of K50, 000. Digicel is commited to bringing its products, services and offers closer to its customers and the new Digicel store is located at one of the busiest areas in Port Moresby. It is expected that the shop will service up to 150 walk in customers every day. There are five Digicel stores in NCD alone and a total of 11 nationwide.